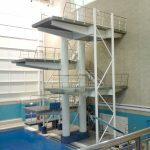 Plymouth Diving qualified a record number of divers for this Championships with 6 for GB, 1 for Bulgaria and 1 for Switzerland. 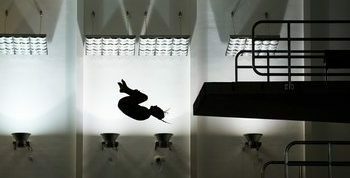 Unfortunately Kayleigh Sinclair had been ordered to rest with a hip injury and had to withdraw which is a huge disappointment so the GB divers traveled without her and met up with the other two at the beautiful outdoor diving pool in Croatia. 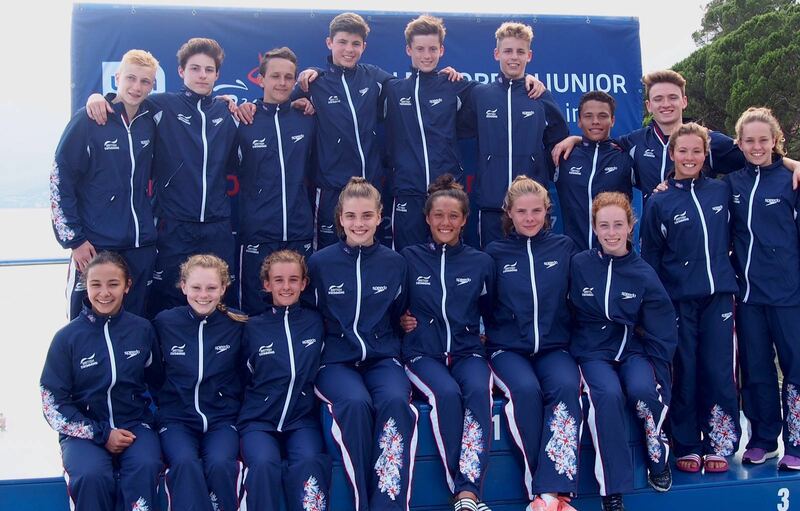 Victoria Vincent and Matthew Dixon both took GOLD and became Junior European Champions in their respective Platform competitions which is a huge result for them and the club. Victoria also took part in the Team event where she got bronze. Shanice Lobb, in her last Junior Euros took a fantastic silver medal in her platform event bringing her total tally in JE competition to two bronze and one silver. Alfie Brown and Aidan Heslop were both competing in their first ever JE event in boys 14/15 years – Aidan competing all 3 boards and making all 3 finals and Alfie diving in the springboard events and making both of those finals. No medals this time but fantastic learning experiences for them. Maddy Coquoz competing for Switzerland took a fantastic Gold medal in the girls synchronised 3 metre with her partner Michelle Heimberg. Welld one Maddy! 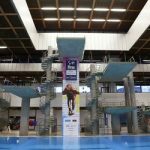 Alex Kostov was diving in his first ever (and only) Junior Europeans having qualified for the first time for the Bulgarian team – he competed in springboard in boys 16-18 years.